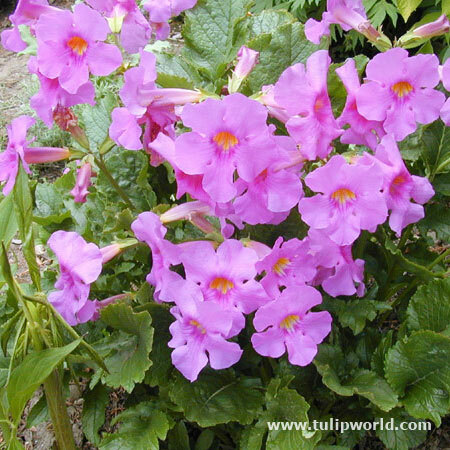 The Hardy Gloxinia is a favorite in old English gardens and add a lilac to purple flowers, almost tropical-looking accent to any garden! The deeply divided leaves form low clumps and produce 12-24" trumpet flower stems, completely void of leaves. The flowers emit a slight fragrant and are quite attractive to butterflies, birds, and bees alike. Remove faded flowers to encourage more. Protect in winter.